Padmavati row: is it reality vs fiction or struggle of Rajput culture’s existence? Even two weeks before the release of, Sanjay Leela Bhansali‘s film ‘Padmavati‘ starring Deepika Padukone, Shahid Kapoor and Ranveer Singh it has already managed to, if nothing else at least raise the TRP rates for constantly being in the headlines. Sanjay had never thought that a small rumor of a dream sequence between Khiljj dynasty ruler Allauddin Khilji. (Ranveer Singh) and Rani Padmini (Deepika Padukone) could have been the worst nightmare of his life. Since the talks are out everywhere that in the movie there is a scene where the dream sequence allegedly contained intimate scenes between Rani Padmini, added fuel to the dormant volcano and made it active, engulfing entire India. Padmavati is a fictional film based on the fictional tale of a Rajput princess written by 16th century Sufi poet Malik Muhamad Jayasi. It is said that the brave Rajput princess along with 16,000 other women accompanying her, jumped into the fire for self-immolation, in order to save oneself from being hostages under the Mughal ruler, Khilji. However, it is uncertain that how genuine is the reality of the existence of Rani Padmini. The divine, brave and breathtakingly beautiful Rajput Princess, may have existed for real. or she might be a fictional character of Padmavat (1540 AD), a poem composed by an Avadhi poet named Malik Muhammad Jayasi. There is no concrete answer to this in the history also. Some believe that Rani Padmini existed for real and some say that she is just a fictional character. Though it is also being argued that the perception that Rani Padmavati might have been a fictional character imagined by the poet is totally wrong. A very noted scholar, Aacharya Ramchandra Shukla, who existed between 1884-1981 have argued that famous biographers, historians, and scholars belonging to the 15, 16 and 17th Century have time and again spoken about the existence of Rani Padmavati. Well, it is not new for ‘Padmavati’ the film being released by Sanjay Leela Bhansali, to see violence and protest. Even during its shooting, sets, and costumes worth crores of rupees were burnt down. The protest originally began from Jaipur, when on 27 Jan the members of the Shri Rajput Karni Sena vandalized the sets of Padmavati in Jaipur and destroyed expensive film equipment. Even Sanjay Leela Bhansali was manhandled, his clothes were torn and he was left with no option but to abandon the shoot and leave for Mumbai. The next violent protest that the film faced was in March when the Karni Sena damaged the sets in Chittorgarh. The Rajputs are of the view, that the content shown in the film has distorted the historical facts and that it has harmed the image of the Rajputana culture. 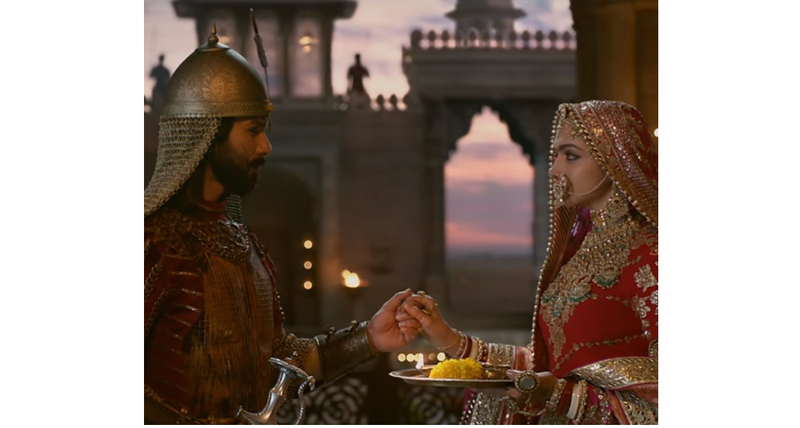 The protesting Sena has also expressed their displeasure about a dream sequence being played in the film, which projects Rani Padmini and Khilji having an intimate scene. However, to this Sanjay Leela Bhansali has assured that the film is made keeping in mind the dignity of the Rajputs and there no such dream sequence in the Movie. “We have made this film with a lot of responsibility and have kept the pride and honor of the Rajputs in mind,” Sanjay said. 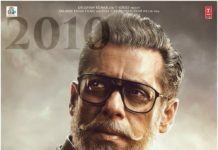 However, the protest to stop the release of the film has gained pace and is now not just limited to Rajasthan, but has also spread to Uttar Pradesh, Karnataka, Maharashtra, Madhya Pradesh, Gujarat, Jharkhand, and Haryana. The Karni Sena has also demanded a nationwide close on 1 Dec, when the film is scheduled to be released. 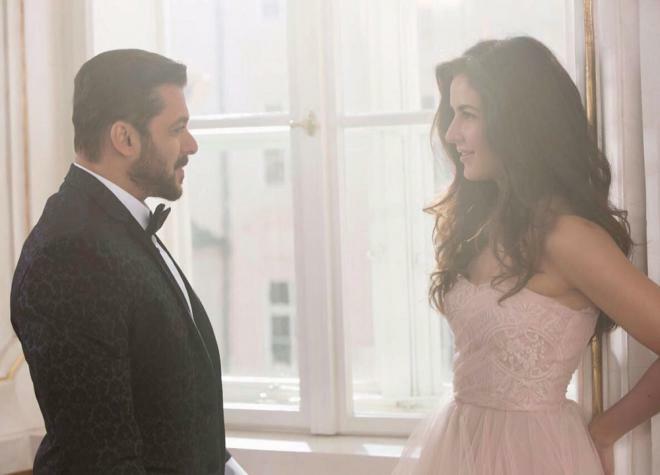 The Sena has also threatened that they will burn down any theatres which show the movie. Not only this the Shri Rajput Karni Sena has also threatened that they will cut the nose of Deepika Padukone and also behead Bhansali if the need be, but they will let the movie be projected in the theatres. It is not just the Rajput community protesting against the movie but even the Muslims leaders have come against the release of the film. The protestors even demanded the intervention of Prime Minister Narendra Modi, seeking a stop on the release of the film. They said that the Central government has the power as per the provisions of the Cinematography Act, to stop the release of a film for three months. Petitions were also filed in the Supreme Court seeking a stop on the release of the film, however, the SC has rejected putting any stay order on the release date for Padmavati. In Maharashtra, expensive shooting sets were burnt down and members of the Akhand Rajputana Seva Sangh took to the streets of Mumbai to protest against the film and 15 of them were detained. Similar protests were seen in Madhya Pradesh also, where the cash price of Rs 10, 000 was announced for whoever slapped Bhansali with the shoe. Meanwhile, in Gujarat, the former Chief Minister Shakersinh Vagehla has demanded that before releasing the film it should be screened in front of the Hindu and Kshatriya leaders so that they can cut the irrelevant scenes from the movie, which distorted the history and played with the honor and image of the Rajputs. In Uttar Pradesh, the Vishwa Hindu Parishad (VHP) issued a strong warning against the release of Padmavati for presenting historical inaccuracies. Members of the VHP and Bajrang Dal also organized a protest and burned posters of the film. In Jharkhand also Numerous right-wing organizations, such as Hindu Jagran Manch, Hindu Mahasabha, and Akhil Bharatiya Kshatriya Mahasabha, tore and burnt the posters of Padmavati. To add to the fury, Haryana Health Minister Anil Vij brought up a totally different pitch all together saying that the movie was promoting the banned practice of ‘Sati’, it is unconstitutional and hence the movies should be banned. It is not just the political parties or the communal parties that are protesting against the release of the movie, but also the Royal families have raised their voice against it. The Mewar royal family and the Jaipur royal families have also opposed the release of the movie. The UP government sent a letter to the Union Information and Broadcasting Ministry that it should ask the CBFC to take an appropriate decision keeping in mind the volatile sentiments of the people. 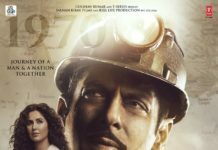 The UP government in wake of the upcoming civic polls in the state had also requested to put a stay order on the release of the film, as it is likely to affect the poll. After all this protest and the and the much uproar about the release of ‘Padmavati’, all that Sanjay Lella Bhansali has to say is that there is nothing in the film that should arise any type of controversies or even hurt the sentiments and culture of the Rajputs. Meanwhile, Deepika Padukone who is doing the main lead role of Rani Padmavati in the film has also expressed her views. She said that hearing all the comments and the protest about the movie the only thing that can be said is “It’s appalling, it’s absolutely appalling. What have we gotten ourselves into? And where have we reached as a nation? We have regressed.” She also confidently said that nobody can stop the file from being released. As per the latest updates after demonstration of much violent protest and threats the Shri Rajput Karni Sena and all affiliates political parties associated with it, have finally got it there way. Sanjay Leela Bhansali has finally agreed to show the movie to all the protest groups before the release of the movie, to prove that there is nothing objectionable in the film and that no history has been distorted. All the row is about entrusting and safeguarding the pride and dignity of the Rajput culture. The main reason for the revolt is that Rani Padmavati chose to perform ‘Johar’ ( jump into the fire for self-immolation) along with 16,000 other women, rather than surrender in the hands of the invaders. It is definitely a story of a brave and courageous woman, who can be the inspiration to fight until last breath against the evil rather than surrendering. But saying that the film is promoting the baned ‘Sati’ and it is unconstitutional is completely wrong. The movie only depicts what has been written by poets it is not saying anyone to perform Sati. The Movie is of a brave queen who took charge of the safety of her womenfolk and led them to eternal salvation herself rather than surrendering, it shows that real Rajput strength and power that not all posses. But saying that Bhansali has not taken care of the sentiments of the Rajputs may not be correct entirely. Apart from entertainment, the media industry also holds another major responsibility and that is to show the correct facts without distorting the history. It can be agreed that in order to add spice to the movie some extra scripts may be added, but even this should be kept in mind that these extra scripts are in no way violating the history or the sentiments of the people. 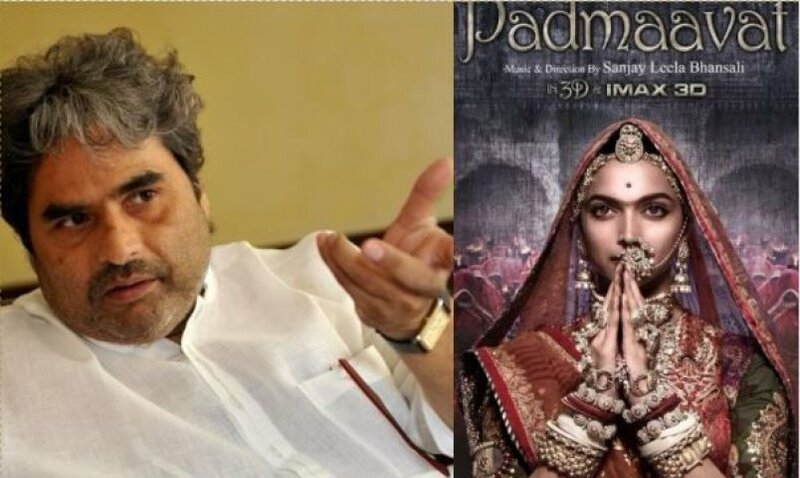 What Sanjay Leela Bhansali has pictured in his yet another epic film ‘Padmavati’ will be known only after 1 Dec, when it is scheduled to be released, if the Karni Sena along with other political and communal parties allow it to happen. Previous articleAkshay Kumar : I do not mind who I offend!